Though Angela Benson began writing fiction in Miss Milizo’s fifth grade English class, her first book was not published until 1994, more than thirty years later! Since then, Angela has published thirteen novels, two novellas, and a nonfiction writing book. 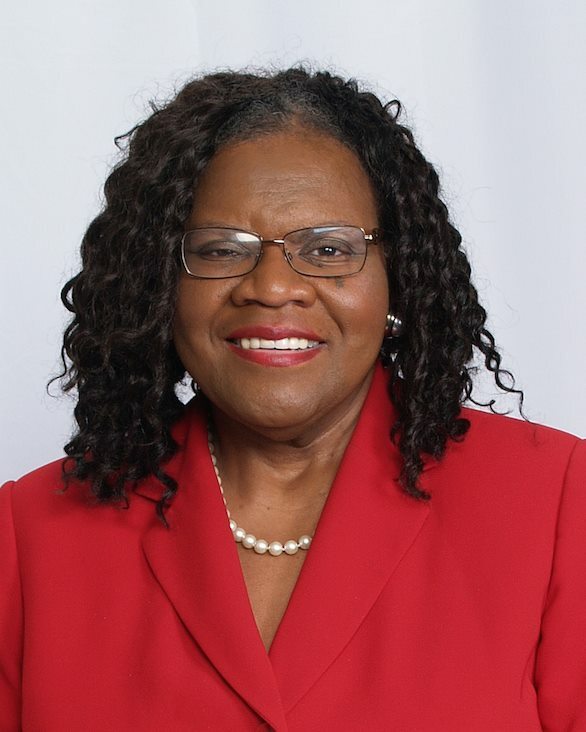 Her books have appeared on national, regional and local bestseller lists, and she has won several writing awards, including Best Multicultural Romance from Romantic Times magazine, Best Contemporary Ethnic Romance from Affaire de Coeur magazine and the Emma Award for Best Inspirational Romance. After publishing seven romance novels and one novella with Kensington’s Arabesque Books and Silhouette Special Edition, Angela made a faith move to Christian fiction in 2000 with the publication of Awakening Mercy, the first book in her Genesis House series from Tyndale House Publishers. Awakening Mercy was a finalist for both the RITA Award for Excellence in Romance Fiction given by Romance Writers of America (RWA) and the Christy Award for Excellence in Christian Fiction. The second book in the series, Abiding Hope, was awarded the Emma Award for Best Inspirational Romance. Angela’s first hardcover title and her third Genesis House book, The Amen Sisters (Walk Worthy Press, 2005) made the Essence Bestseller list and won the Emma Award for Best Inspirational Romance. HarperCollins has published Angela’s most recent titles. Up Pops the Devil (2008) was named an African-American Book Club Pick at Books-A-Million and was featured in an issue of UPSCALE Magazine. It was followed by Sins of the Father (2009) and Showers of Blessings, a novella in the A Million Blessings anthology (Dafina Books, 2010). In 2009, Angela was diagnosed with breast cancer. After completing a rigorous treatment plan that included surgery, chemotherapy, and radiation coupled with a huge dose of faith and prayer, she resumed her writing career with the publication of Delilah’s Daughters (HarperCollins, 2014). 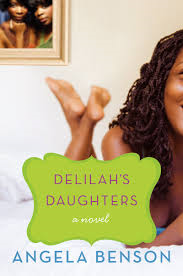 She recently learned that Delilah’s Daughters has been named one of the Library Journal’s Best Books of 2014 and a finalist for the 2014 Romantic Times Reviewers’ Choice Best Book Award. Angela is currently working on her fourteenth novel, The Summer of Me, which will be published by HarperCollins in August 2015. In 2012, Angela began releasing revised, e-book only editions of her early romances. Updated versions of Friend and Lover (novella), The Way Home and The Nicest Guy in America are currently available. Bands of Gold, For All Time and Between the Lines will be available in Spring 2015 along with her fourth Genesis House title, Enduring Love. An updated version of Telling the Tale: The African-American Fiction Writer’s Guide (Berkley Books, 2000) is also available in e-book only format with the new title, Telling Your Tale: A Beginner’s Guide to Writing Fiction for Print and eBook. An inspirational story about the allure of fame and the faith that binds a family forever . . .
Delilah Monroe has done everything in her power to keep her three daughters strong since the death of her husband. And a big part of that connection is their singing group, Delilah’s Daughters. Veronica, Roxanne, and Alisha each have their own unique sense of self, but they all share the dream of Delilah’s Daughters hitting the Billboard charts. Now, just as they enter the final round of a national talent show, a record producer approaches Veronica with the promise of fame . . . if she goes solo. Then the man Delilah has always leaned on wants more from her than just friendship, and someone from her past comes calling with a shocking secret. Will Delilah be able to hold her family together? On days like today, Rocklin “Rocky” Monroe hated being dead. He eased down on the bench next to his wife, Delilah, who sat at the piano near the back of the stage, beaming with pride as their three daughters, “Delilah’s Daughters,” as he’d named their singing trio, took their bows to a standing ovation at the annual Gospelfest in Birmingham, Alabama. The sassy and upbeat rendition of “Revive Us Again,” arranged by their youngest, Alisha, had brought the house to its feet. He put his arm around Delilah’s shoulders. You did good, sweetheart, he whispered, even though he knew neither she nor those around her could hear him. I am proud of them! he wanted to shout, but knew it would do no good. He could see her, touch her, smell her, but she could only sense his presence. As he’d learned in the three years since a blood clot in his lung led to his untimely and totally unexpected demise, being dead was certainly a limiting experience. The applause grew amid chants of “Praise Him!” and “More, more!” The girls glanced back at their mother, whose fingers flowed across the keyboard as they launched into Alisha’s rendition of “Take My Life and Let It Be.” Their eldest, Roxanne, who had the best voice of the three, brought the lyrics alive. When she crooned, “Take my voice and let me sing,” he jumped to his feet along with the audience. Who could keep sitting when his baby poured out her heart and soul that way? It was as though her words became the words of the hearts of her listeners. It wasn’t her song anymore; it was everybody’s song. Alisha and Veronica backed Roxanne up in perfect harmony. Their choreographed movements, which he knew to be the work of Veronica, the born entertainer of the family, were every bit as powerful as the lyrics. The three of them were angels, singing and dancing with joy before their Lord. The song ended with the audience on its feet in another ovation and moment of praise. He rushed toward his girls, his heart more full of love now than it had ever been. He wondered how that could be possible, since he had loved them with all that was in him when he was alive. Maybe his heart had grown larger in death. He reached Alisha first. His baby girl was the shy one who had always been closer to her mother than to him. He brushed a kiss against her forehead and whispered, I love you, in her ear. When he pulled back, her eyes were full of tears. She missed him, he knew, but she also knew he loved her and that he was there with her. He moved next to Roxanne, favoring her with a kiss and the same I love you. Parents weren’t supposed to have favorites, but God help him, Roxanne had been his favorite. He guessed it was because she was most like him. While Alisha and Veronica enjoyed singing, Roxanne had to sing. The music gave her life and purpose. She sang when she was happy and when she was sad. He knew, too, that she sang when she missed him, sang until she felt him in every part of her being. In those times, he saw her heart in ways he hadn’t seen it when he’d been alive. Sometimes he ached for Roxanne because along with sharing his love for music, she also shared his willingness to do anything for it. Praying she would make better choices than he had, he pressed a second kiss against her forehead, then moved on to his middle daughter. Ah, Veronica, the child he least understood. She worried him more than the other two. He reached her as the trio moved down the stairs in front of the stage and toward the audience. He managed a whisper kiss against her cheek, so fleeting he was unsure she even felt it. His heart ached that Veronica was as elusive to him in his death as she had been when he was alive. Her thirst for the limelight scared him at times. While he was glad that she was so at ease with the spotlight, he didn’t want it to consume her. He’d hoped her marriage would provide her with some much-needed perspective, but her husband seemed to fuel that fire rather than help calm it. Shaking off his melancholy, Rocky stood back and watched with pride as his girls mingled with the audience, showing their appreciation with handshakes and hugs. Many of the audience members knew the girls, had known them since they were kids, which made the sharing now even more special. He glanced back and saw Delilah looking on them with pride as well. He turned to go back to his wife, but a tall, slender man reached her first. Who is that? he wondered. “Hey, Mrs. Monroe,” the man said, causing Delilah to look up at him. Roy? Rocky thought. That’s Roy Stiles? Well, that boy sure has lost a lot of weight. How long has it been since I last saw him? “We understand, Roy,” Delilah said. “We’re all so proud of you. You’re an example to all the young people. Us old ones too,” she added with a twinkle in her eye. “If only there were an American Star for groups,” she said. Rocky had been thinking the same thing. I do too, Rocky said, forgetting that nobody could hear him. According to the flyer, the winners of the Sing for America competition would get a recording contract worth around $300,000. Right then, he began praying Delilah’s Daughters would win. What are you saying, Delilah? Rocky shouted at his wife. The girls are more than ready! If they could pull themselves together for a Gospelfest performance a few short months after I died, they can certainly get ready for this contest. Not only will they compete, Rocky said, touching Delilah’s arm and willing her his confidence, but our girls are gonna win this thing. “We wouldn’t miss it,” Delilah said. She stared at the flyer after Roy left. “If only Rocky were here,” she murmured. I am here, Rocky said, his frustration at being unheard growing. Though this was his third Gospelfest visitation, the boundaries between the living and the dead still grated on him. The girls have to try out. They’re going to win this thing. It’s their destiny. I feel it, Dee. He watched his wife as a light chuckle escaped her lips. She felt the girls’ destiny too. He knew she did. When she quickly sobered, he knew she was thinking about him and his dream for Delilah’s Daughters to one day become a chart-topping gospel group. It was a dream that had begun forming early in their marriage, after they’d survived a major challenge to their love and recommitted themselves to each other and their family. It was a dream that later had been put on hold so the girls could complete their education. The plan had been for them to resume their careers after they finished college, but he’d died soon enough after Alisha’s graduation that the dream had been lost in their grief over his death. Rocky smiled, his heart full. He never knew what to expect during his yearly visits with his family, but this year was proving especially gratifying as he got to be a part of the moment when his daughters restarted the music careers he had always known were destined to be theirs. He pressed a kiss against his wife’s forehead, thankful for her continued belief in their daughters’ gifts. By the time he returned next year, Delilah’s Daughters would be well on their way to bringing their brand of music to households all over the world.